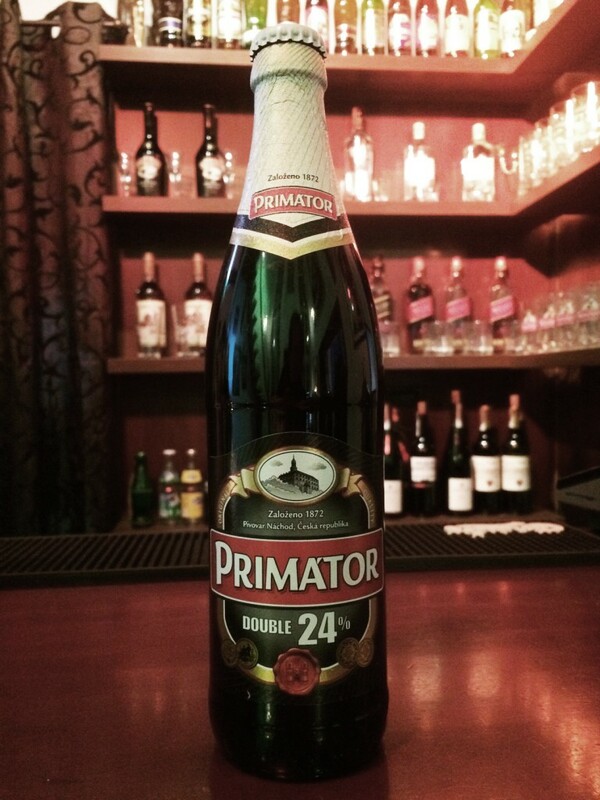 Primator Double 24% Double is a dark Porter style specialty beer. It is a new sensory experience for everyone who enjoys something unusual and interesting. Twenty-four percent original extract and 10.5% alcohol make our Double the strongest Czech beer commercially brewed and one of the strongest in Europe. Exact proportions of ingredients (five kinds of malt – Czech, Bavarian, caramel, coloring and wheat) give the foundation of the taste, which is dominated by roasted malts. The high content of pure extract cause a burst of energy and enlivens the senses. Therefore, it is recommended as a “beer aperitif”. A jet-black rich dark brew with a creamy head comes into its own in tall stemmed glasses to highlight this unique jewel of the Náchod brewery. Great for desserts and cakes and surprisingly suitable for spicy foods. It is a sensual gourmet taste.